It’s November and getting close to the holidays again. It’s my favorite time of the year. I decorate every corner, sofa, window and deck with Christmas stuff. I love Christmas! But wait, let me stop you right there. Although Christmas season is awesome (and it is—no doubt about it) what about—wait for it—waaaaait for it—what about Thanksgiving? Thanksgiving, you ask? You mean the time of the year we celebrate our forefathers and cram our face with all of our favorite foods (and some not so favorite—like an elderly’s aunt’s green bean casserole where she actually uses broccoli instead of green beans?) Yeah, that time of the year. It’s an awesome time when family and friends get together and have fun and food. But what if we put a new spin on Thanksgiving? What if we actually took the time to be thankful? It sounds corny, but let’s think about it for a minute. What if we focused just for a few minutes with some quiet reflection on what we all have to be thankful for. Pick a spot off the beaten path that you enjoy—a chair that looks off your deck, a rock on the side of a mountain, beside a lake somewhere. Maybe choose a time when the kids are in school and the spouse is at work. A time when you can hear yourself think—really think. Turn off your phone. Your television. Your computer. Free your mind. Personally, I like to sit by the fire with a giant cup of spiked coffee on a chilly day. The fire is popping in the fireplace. Maybe some snow falling softly in the pines. Best of all, there’s a huge stack of firewood just waiting for me to stuff it onto the grate. There’s nothing worse for killing the warm fuzzies than to have to put on your boots, hat, coat and tromp out into the snow to carry in armfuls of wet firewood. Back to being thankful—as far as I know, there isn’t any playbook or magic wand on how to approach gratitude. It just takes some thought and an open heart to discover what truly makes us happy. We may be surprised that it isn’t the things we thought. Look, we all have blessings in our life just as we all have hardships in our life. There’s always gonna be someone worse off than we are and there’s always gonna be someone better off than we are. The key is to be grateful for the things we experience in our lives every day. Even the bad stuff, because without the bad stuff, we can’t really appreciate the good stuff. Okay, off my soap box. Now that we have a mindful appreciation of the blessings in our lives, let’s move on to Christmas, shall we? 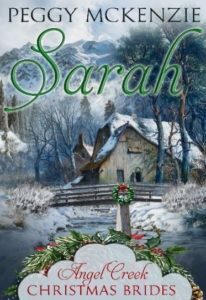 SARAH—ANGEL CREEK CHRISTMAS BRIDES is a series about women left in Charleston, South Carolina after the end of the Civil War. Money was hard to come by. Men were even harder to find. Confederate widow, Sarah Caldwell, has lost everything. Her husband. Her home. Her fortune. And now, she will lose her young daughter if she doesn’t leave Charleston before her contemptible in-laws convince a court to grant them custody. When Sarah’s four best friends decide to answer an advertisement for brides somewhere in Montana Territory, she decides to join them praying the law won’t follow. 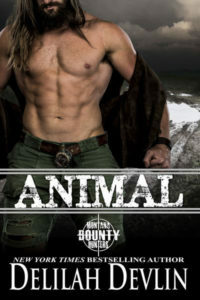 An injured expatriate of the Union Army, Quinn Cassidy, is now the sheriff of Angel Creek. He likes the tranquility of this little mountain town and vows to protect it. But, when five beauties from Charleston step off the stage coach, he wonders if he can. The dark-haired woman, with the little girl in tow, walked into his life and into his heart. Now, he needs a Christmas miracle to keep his new bride out of his jail. GRACE-BRIDES OF THE RIO GRANDE is a series about four orphans who bond with a gregarious woman who owns a saloon and refuses to allow these women to become prostitutes. When one of the young women is forced to kill a man to in self-defense, these four women flee to find justice and love with the men of Creede, Colorado. The only family Grace Sinclair has known includes three other orphans and the bawdy saloon owner who took them in eight years earlier. Grace has appointed herself big sister, friend and protector to the three younger girls, seeing to their welfare as best she can with no money, no family and no hope for much of a future. 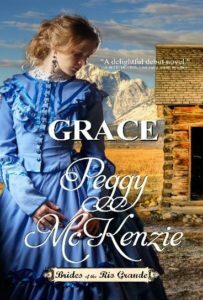 When one of her sisters kills an over-ardent saloon patron in self-defense, Grace knows her only chance of keeping her little family together is to hightail it out of town so the law will think she’s the murderess. 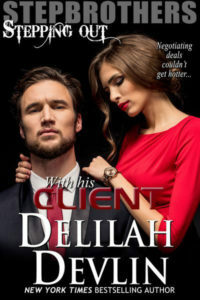 John Malone didn’t send for a mail-order bride, but somehow he finds himself wed to a feisty city woman hellbent on forcing him to confront the misery and loss he’s been hiding from since the devastating loss of his wife and infant son. His plan to convince the young woman he’s not a fit husband and the unsettled Colorado wilderness is not a fit place for a lady quickly goes awry, plunging him deeper into trouble when he finds himself falling for his sweet bride. FAITH-BRIDES OF THE RIO GRANDE Despite the improbable odds of a half-breed orphan getting a fair trial after being accused of murdering the son of the mayor of Kansas City, frontier justice has given Faith No-Name a second chance at life. For the past two years, Faith’s trust—indeed, her very future—has been in the hands of a talented young attorney. She’s fallen in love with the handsome Irishman but she’s not naïve enough to dream that a respectable white man would consider marriage to a woman of mixed blood who’d grown up with three other orphans under the eye of a bawdy saloon keeper. Defending the dark-haired, doe-eyed young woman accused of murder has tested Liam O’Brien’s sense of justice in ways he never imagined. Every time he looks at her, he is reminded of the horrible Indian raid that left his parents dead and his sister kidnapped. He escaped, but only because he hid from the marauders like a coward. His heart is a dark tempest of rage, loathing and guilt that makes it impossible for him to view Faith as anything other than a savage heathen…except the more he learns about her, the more his prejudices are challenged. I wish each of you a wonderful holiday season filled with friends, family and fabulous gratitude. Born and raised in Oklahoma, Peggy McKenzie was a barrel racer in her younger days. When she grew tired of banging her knees on the cans, she decided to learn to team rope with her husband. Then, she took it a step further with the horse power and bought herself a Harley. In 2014, she retired from her career as a fraud examiner for the State of Oklahoma. She and her family moved to beautiful southern Colorado where she continues to write her novels about the romance of the old west. 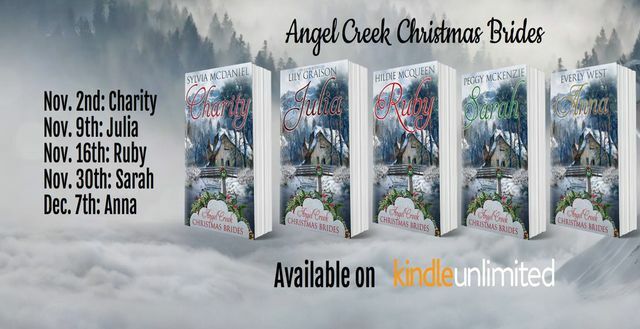 Peggy is currently finishing up the last two books in her Brides of the Rio Grande series and is looking forward to her next writing project, a collaborative effort with five other Best Selling Authors called Angel Creek Christmas Brides. She loves to take walks in the mountains and she’s always up for a hook in the water. 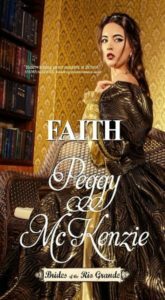 Peggy has been in love with reading romance since the ripe old age of fourteen when she picked up her first “forbidden book”. She continues to enjoy reading all types of romance genres. Some of her favorite authors are Callie Hutton, Hildie McQueen, Merry Farmer, Lily Graison, Sylvia McDaniel, Carolyn Brown, Christie Craig and Alice Clayton. This entry was posted on Thursday, November 8th, 2018 at 11:41 am in General. Tagged: Guest Blogger, historical, Western. You can feed this entry. Both comments and pings are currently closed. Lovely post, Peggy! And your books look enticing! I love westerns!